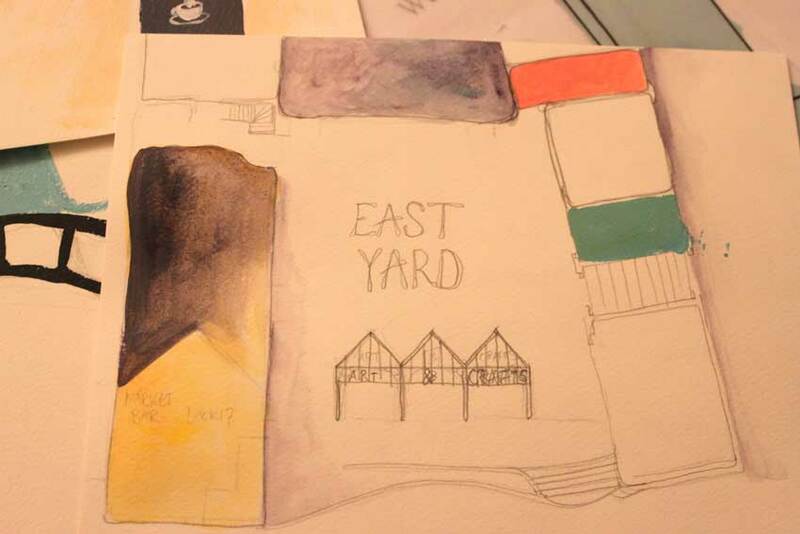 Here is the current project I am working on, painting maps of Camden Lock Market. They will go on the brick wall so I’ve draw up the scale and as I was waiting for the post to arrive with any missing colours I played around with what I had. 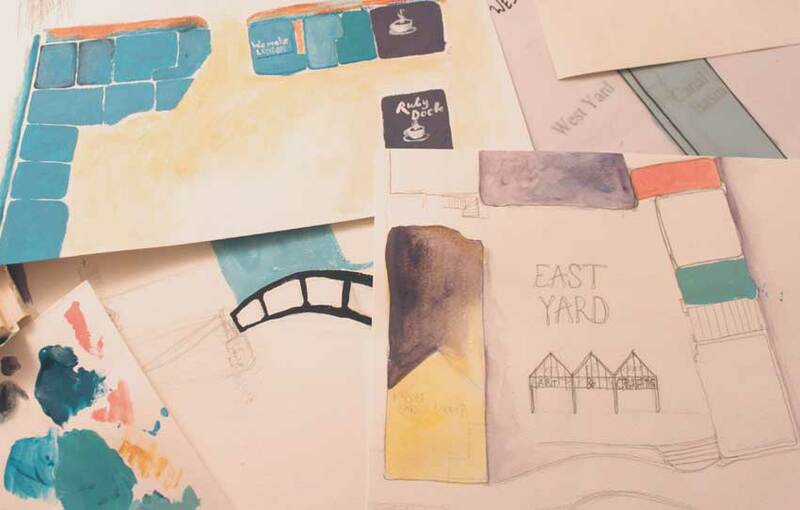 If you’d like to follow the process or want to know more about outdoor mural painting check back here on my blog or come to Camden and see it being done. Preparing is everything. If you want to do this you’ll have to prepare the surface for painting. The brick walls have been painted with Masonry paint but the surface is still very uneven with holes. You could skip this step and go straight to painting Gesso which I will do next, mainly to fill in the worst holes as there is a risk a whole shop unit could disappear. Gesso is very expensive though so Masonry paint keeps the cost down. You can also use Matt Emulsion as a cheaper option for Gesso. It all works as a binder and it also saves acrylic paints as without it, any surface will swallow up the paint. 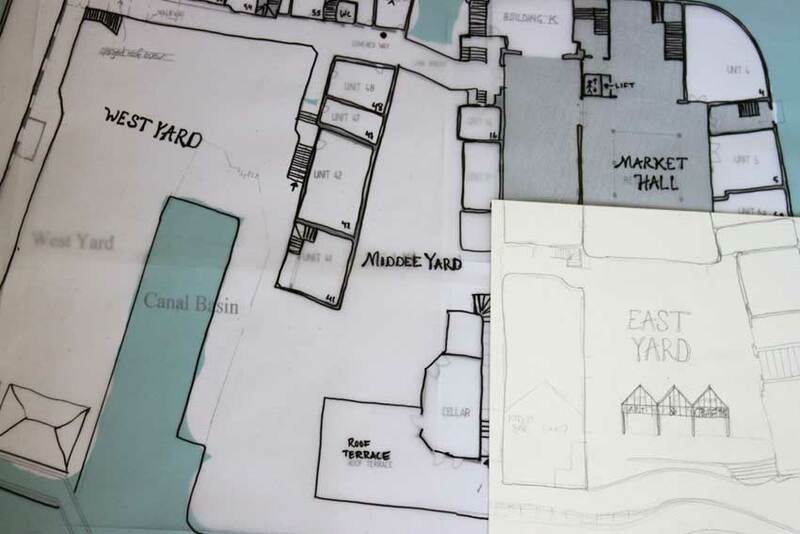 Hopefully I can start getting the maps on the walls this week.